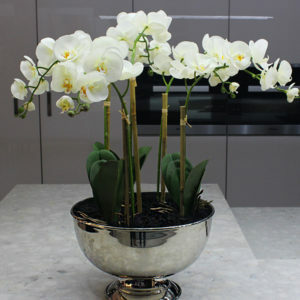 An artificial Dancing Orchid arrangement adding a burst of colour to an office desk. 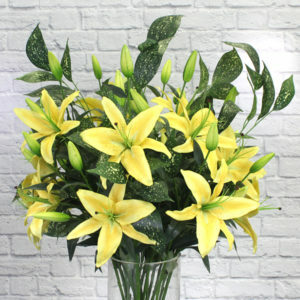 What better way to keep employees feeling bright and cheerful. 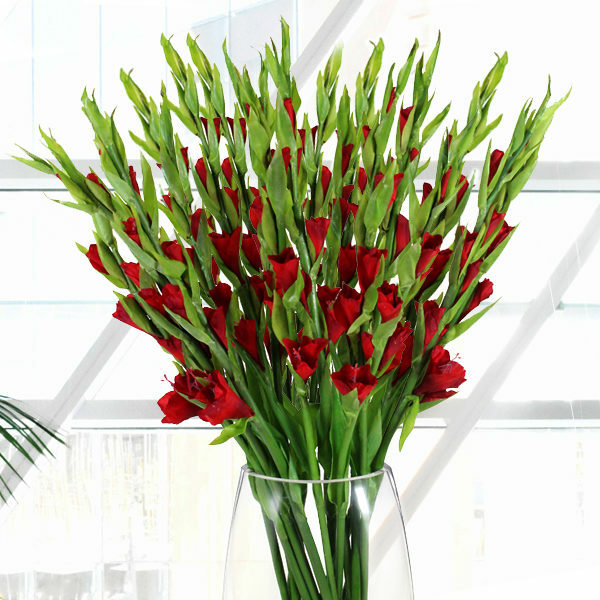 Captivate your clients and boost employee morale with a striking Blackred Gladiolus silk flower arrangement. 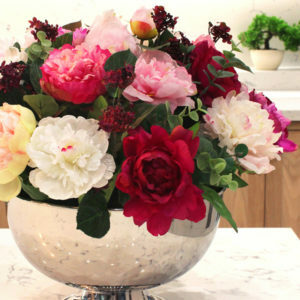 It’s elegant, vibrant and structured, making it a perfect fit for the office! The Gladiolus is native to sub-Saharan Africa, mostly South Africa but they are popular with florists and interior designers all over the world. 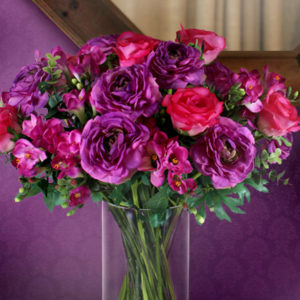 This Blackred Gladiolus silk flower arrangement is made from high-quality artificial Gladiolus stems, permanently set in a glass vase using a resin that mimics clear and clean water.